Visit the web address for your account (ex. 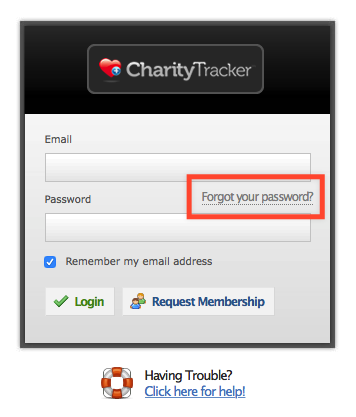 unitedway.charitytracker.net) and click the "Forgot your password?" link.